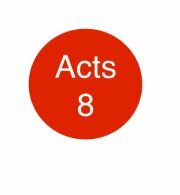 Building a community of those interested in following the disciples of Acts 8 in taking the church outside into the world in new Spirit-led ways. Supporting that community as we attempt to carry out God’s mission in the particular contexts we find ourselves in. Helping the restructuring Task Force accomplish its work. Some mechanism of allowing the community to know the costs for various activities and contribute towards covering them. Continuing to share ideas (and even disagree) about specific re-structuring ideas, possibly through the blogroll or other on-line mechanism, that will become a go-to place for the wider church to learn about and wrestle with various proposals. Being prepared for appropriate action leading up to General Convention 2015 (even if we won’t know what that action should be until the time draws closer). There are probably many other good ideas for helpful activities. I hope these three areas will provide a useful focus for our conversations as discern together how we can best serve God, God’s Church, and God’s people. Adam, Thank you for this. I was unable to attend the 2nd Acts 8 meeting due to a deputation engagement, but i’m so glad to hear of a way forward being honed. I had a few folks via Facebook and Twitter ask if there might be monthly Hangouts our Group Chats to continue the conversation and engage those who weren’t in Indy. I’m hopeful for the future! Trusting you won’t mind, Draughting Theology has been added to the Acts8 Blogroll. I’m thrilled to be added to the list. Thanks!